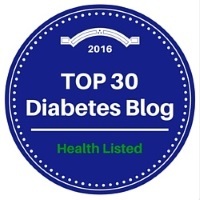 I have had diabetes since 1976 and will transition to Medicare in early 2017. As most of you know, Medicare does not currently cover continuous glucose monitors for seniors with Type 1 diabetes. There are companion bills in the U.S. House of Representatives and the U.S. Senate that would require Medicare to change that policy. My Representative Erik Paulsen is a co-sponsor of H.R. 1427: Medicare CGM Access Act of 2015 and one of my Senators, Amy Klobuchar, is a co-sponsor of S. 804: Medicare CGM Access Act of 2015. Unfortunately my other Senator, Al Franken, is not on board with supporting this bill. “Diabetes Hands Foundation (parent organization to TuDiabetes) has connected with a group called HCM Strategists, which does public policy advocacy around health and education. They’re organizing advocacy for Medicare coverage of CGMs, and have asked me to identify some community members who are interested in, and passionate about, this issue. We’re particularly looking for folks who are willing to share their personal stories about how Medicare coverage of CGM affects them. There are two ways to become involved. 1) Go to the TuDiabetes forum post and leave a message for Emily. You must be a member of the TuDiabetes community, but it is easy to join and a great place to hang out. 2) Or you can email me and I will share your contact information with the HCM Associate who worked with me. You will then receive an email from HCM with a series of questions (name, age, diabetes story, CGM use, etc.). Your answers will provide an HCM Associate with the information to draft a letter to your elected representatives. With your approval they will also use your letter as part of their outreach to members of Congress. This is a unique opportunity to have your voice heard in Washington, D.C. Working with HCM Strategists is straightforward and professional and I urge you to advocate for Medicare coverage of continuous glucose monitors by sharing your story.